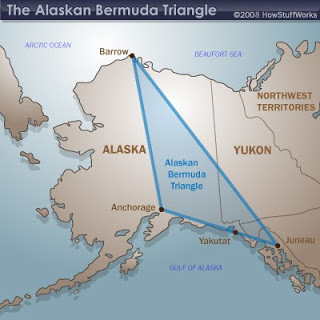 There have been over thousands of recorded missing people in the Alaskan Triangle some either hiking or some flying they have all disappeared without a trace. Now it could easily be chalked up to the harsh climate of the Alaskan wilderness and it multitudes of wild animals willing to eat any potential human who gets lost on their way and the winds and weather in the mountains could easily down a plane without ever trying. So yes, it is quite possible to easily explain the rational to all these people going missing, but to find no trace of any plane or person in all the thousands if missing people cases associated in the area of the Alaskan Triangle, now that seems a bit odd to me. With the technology of today and we can find a single piece of material associated to a missing person leaves me a bit puzzled. Again, though like its counterpart in Bermuda no traces of the ships, planes or people have been either so it isn’t that far fetched after all I guess. Despite it’s supposedly ancient provenance, evidence of the black pyramid’s existence didn’t appear until 26 July 2012, when reporter and cattle mutilation expert Linda Moulton Howe announced its discovery on late night conspiracy radio talk show Coast to Coast AM. 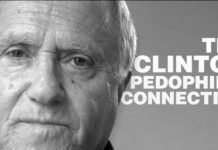 That evening, Moulton Howe broadcast a pre-recorded interview with Doug Mutschler, “a retired U.S. Army Counterintelligence Warrant Officer,” who provided many of the initial “facts” (those are sarcastic quotes) about the pyramid, and first alleged the site’s current connection with the U.S. military. 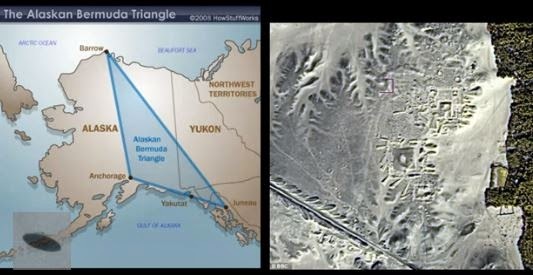 Subject: To Linda Moulton Howe, Pyramid under Alaska? My name is Douglas A. Mutschler CW2, USA (ret) and during my service tour in Alaska I was informed of a pyramid under the land in Alaska. 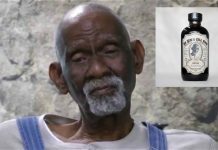 There is other information concerning this that came to my attention after it was reported to us in 1992. I have tried to pass this info to others but have not heard any response to my information. I assure you I am telling you the truth about this and I think that this is being kept quiet by our government as the news was buried the very next day after it was brought to my attention. If you can help me get this info out to you please call me so I can talk to you about this. My phone number ——-. The whole story is pretty interesting and this can be verified with your contacts I’m assured of that, as I do not have them and came up with zero from the news people there. I’ll tell you the whole story if you are interested. I’ve only contacted a couple of people but have not heard back from any of them. I’m wondering if my emails are getting through to them or is this an old story that has no interest to news reporters?